Hands up if your children love ice cream? Hands up if you get the guilts dishing it out for dessert multiple nights in a row? Guilty as charged here. My children will ask for ice cream every day of the week, whether it is thirty plus degrees or three degrees! Strange little weirdos. . .Their love for ice cream knows no bounds. 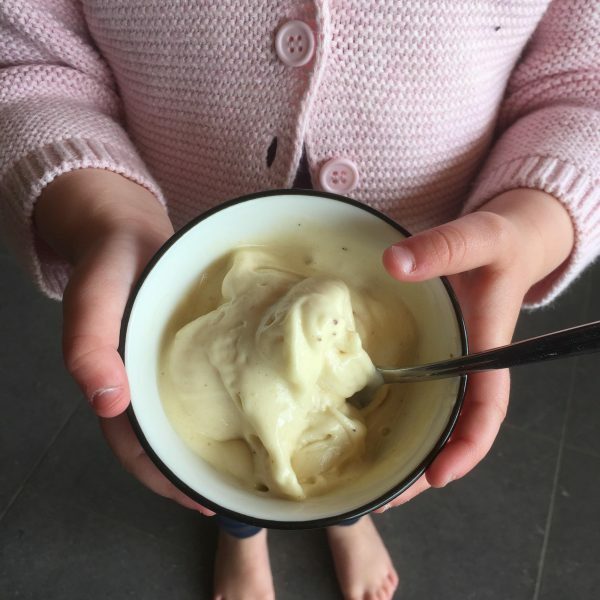 Luckily, not long after purchasing a Thermomix, I stumbled on a brilliant solution to my ice cream guilt woes: a super simple ice cream recipe that involved no milk, no stirring and no complications! All you need to make this ice cream is some ripe bananas or mangoes and you are good to go. I do warn you that there is lots of passive time involved, so you do need to think ahead. But, when the result is fruit only, dairy free, nutritious ice cream, I’m sure you will agree it is absolutely worth it! I even let them have it for breakfast. I have only tried this recipe in a Thermomix but I am sure that it would also be doable in similar machines, like food processors. If it has a high speed, high quality mixing function, you’re set. Peel the bananas and chop them roughly. 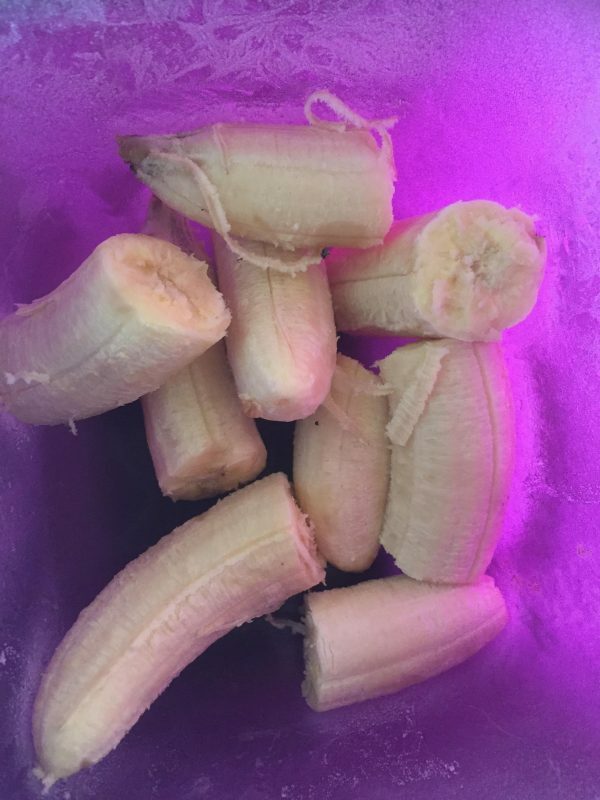 Put the banana pieces in an airtight container and freeze overnight or for a minimum of ten hours. When the bananas are frozen, place them in the mixing bowl. Before you begin to mix, make sure you have one hand firmly on the lid of your machine. It will be extremely loud and the Thermomix may move a little. 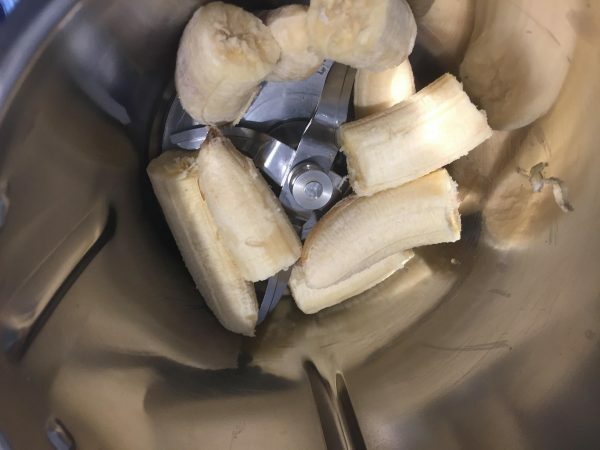 Mix the bananas on the highest speed until the blades cannot mix any more. This was just over a minute in my machine. If mixed correctly, the mixture should look like a thick ice cream at this point. 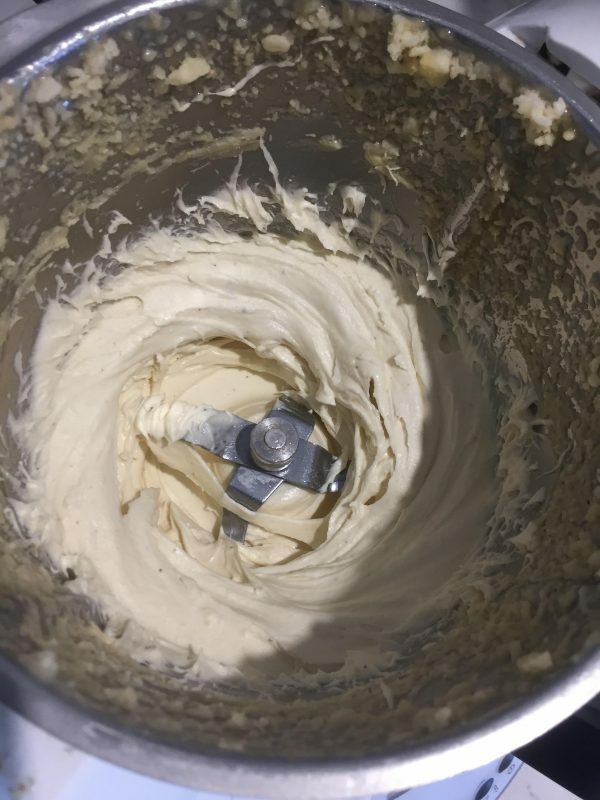 Remove the ice cream from the mixing bowl and serve immediately. It's as easy as that! If you are averse to banana, have some frozen organic strawberries on hand to mix with the bananas for a strawberry flavour. This easy mix method also works with frozen mango for a delicious mango flavoured ice cream. Top your ice cream with chopped nuts, cacao nibs or blueberries for a guilt free treat. Enjoy! 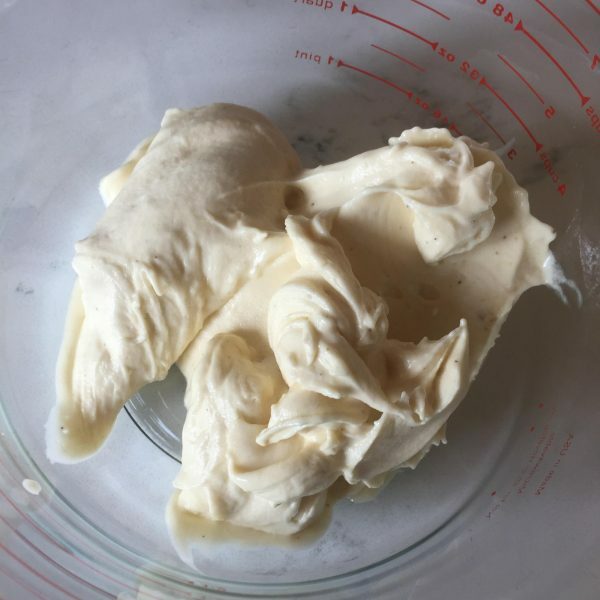 This entry was posted in Recipes, The Organic Place and tagged banana ice cream, Certified Organic, dairy free ice cream, Family, food, Fruit, Health, Healthy, Healthy Eating, ice cream, Kids, Organic, organic ice cream, recipe, recipes, Seasonal Produce, Spring, The Organic Place.